Betty Ann Dyer, of Choctaw, OK, died March 17, 2019, in Midwest City, OK. She was born June 22, 1932, in Stillwater, OK to Ralph and Edna Webb. She loved camping with her family throughout her life. She enjoyed gardening, tending her flowerbeds and watching the hummingbirds in her yard. She spent much of her time making a variety of crafts and traveling to attend craft shows. Her love for arts and crafts spread to her children and grandchildren. Her later years were spent with Bill in Fun Valley, CO, as well as in Port Aransas, TX, gathering seashells. She was proud of her huge collection. She was always very active in church. She loved children, so she was always ready to help in the nursery. She was a long standing member of Bethel Church of Choctaw, OK.
Betty was preceded in death by her parents. She is survived by her husband of 67 years, Bill, of the home; son, Allen Dyer, and wife, Sharon, of Harrah; daughter, Renee Lofton, and husband, Terry, of Choctaw; son, Randy Dyer, and wife, Janie, of Oklahoma City; grandchildren: Kara Dyer of Harrah; Nathan Dyer and wife, Jessica, of Newalla; Lindsey Munson and husband, Mike, of Midwest City; Stephanie Gleason of Choctaw; Teretta Roller and husband, Justin, of Prague; Leslie DeHart and husband, Scott, of Moore; Courtni Hamilton and husband, Nathan, of Norman; and great-grandchildren: Kaitlyn Wynn, Anna Wynn, Jacob Wynn, Macie Dyer, Grayson Dyer, Sydney Munson, Tatum Gleason, Olan Roller, Emily DeHart, Hailee Hamilton, Jackson Hamilton, and Avery Hamilton. 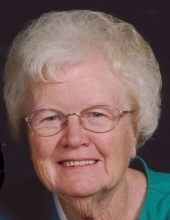 A funeral service will be held at 10 am, on Wednesday, March 20, 2019 at the Barnes Friederich Funeral Home. Interment will follow at Elmwood Cemetery in Choctaw, OK. Viewing will be held on Tuesday, March, 19, 2019, from noon to 8 pm. To send flowers or a remembrance gift to the family of Betty Ann Dyer, please visit our Tribute Store. "Email Address" would like to share the life celebration of Betty Ann Dyer. Click on the "link" to go to share a favorite memory or leave a condolence message for the family.